After transforming a disused area of land - locally described as deserted - into a community oasis. 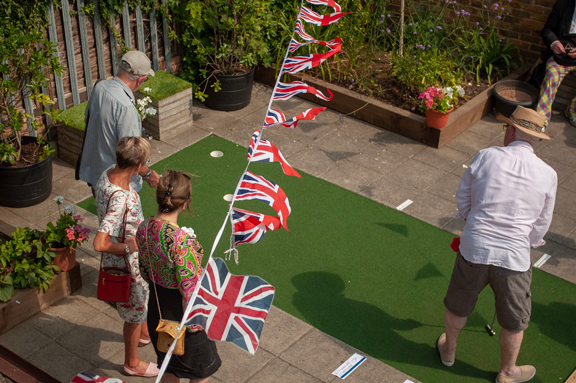 Residents living in and around Arden Road in Ealing wanted to ensure that their rejuvenated site continued to be well maintained and regularly used as a neighbourhood centre point. Initially, the land next to the public car park was informally used as a children's play space. 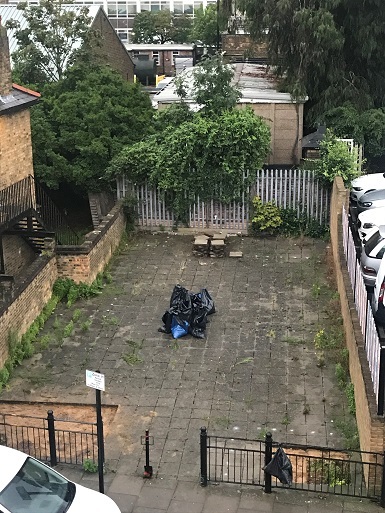 But as the use of the space decreased over time and fly tipping became more frequent, a group of neighbours got together to discuss how they could make it of better use to the wider community. 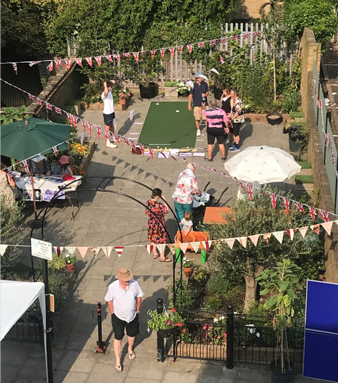 The proposal to create a green place where the community could meet and take part in communal activities was put forward in the form of a questionnaire to residents attending the annual street party, organised by the area residents' association, the Five Roads Forum. The feedback was positive, interest grew, resulting in a working group of eight residents being formed to start the transformation project. The working group reached out to the community and their wider networks to help get the project running and funded. A design was drawn up by a local landscape architect. Donations of garden furniture, paint, plants and a noticeboard were received. 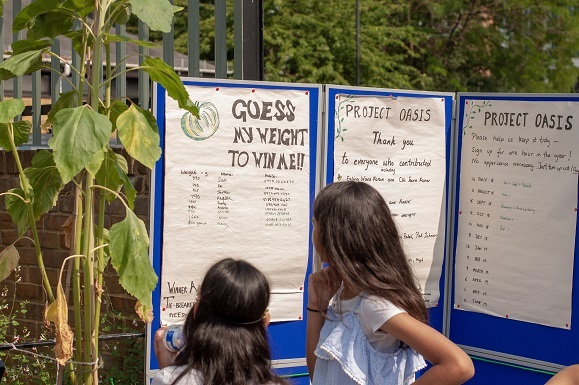 Funding was provided by residents, Ealing Broadway Ward Forum and nearby businesses including Waitrose as part of their Community Matters token scheme. 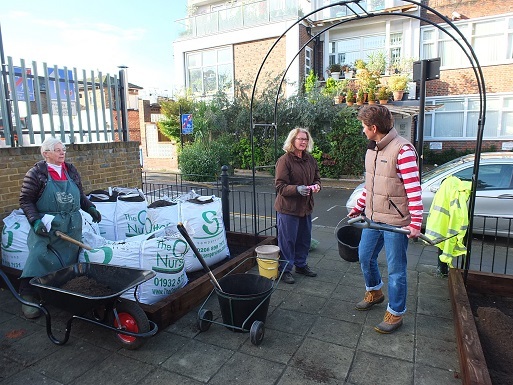 Importantly, through raising awareness of the plans, many people came out to help with weeding, digging up the old paving stones, putting in new planting and watering. The early volunteers have been joined by new helpers in maintaining the site, encouraged by a maintenance rota displayed on the residents’ group's Facebook page, its mailing list and on the donated noticeboard located onsite on event days. 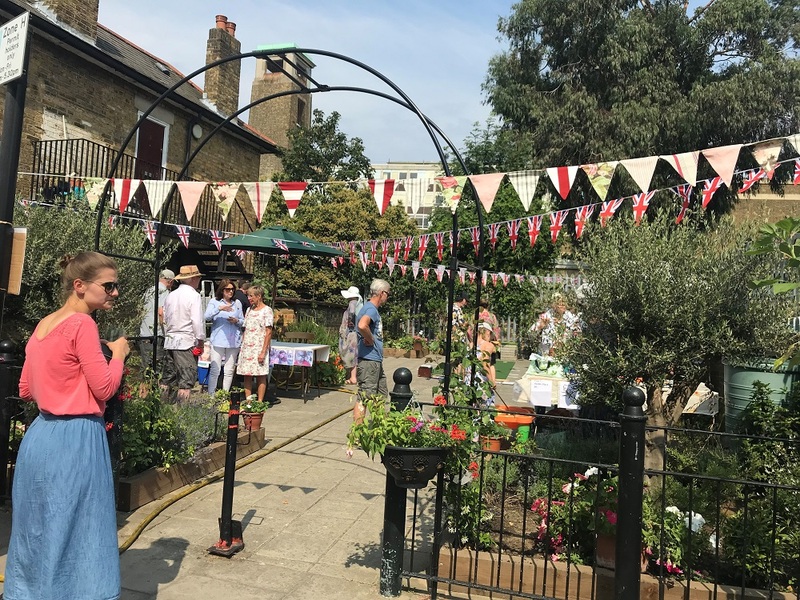 The new landscaped space has succeeded in becoming a venue for the annual street party, Christmas carol singing event and a place for neighbourly chats over a hot drink. An unexpected result has also seen employees of businesses in the vicinity taking their coffee and lunch breaks in the space. This has been more than encouraged by residents. "The early volunteers have been joined by new helpers in maintaining the site, encouraged by a maintenance rota displayed on the residents’ group's Facebook page, its mailing list and on the donated noticeboard located onsite on event days".